Can a suborbital spaceship help XCOR reach orbit? I can feel the heat from the rocket engine through my jeans, as well as the vibration of the shock wave. The sound is like a punch; because I’m wearing protective headphones, I feel it more than hear it. It lasts all of half a second, but in that instant, the air seems to split open and release a primordial force. The flame shoots three feet through the air in the XCOR Aerospace rocket shop in Mojave, California—a long, orange-yellow tongue flicks from the burnished aluminum nozzle bolted to the test stand, and is gone. The pint-size engine, its nozzle just a hand’s length, kicks with the force of 40 pounds. The test stand is itself no larger than a tea cart. Mark Peck, the engineer who pressed the red button to fire the engine, sits beside it, only about a foot or two away. 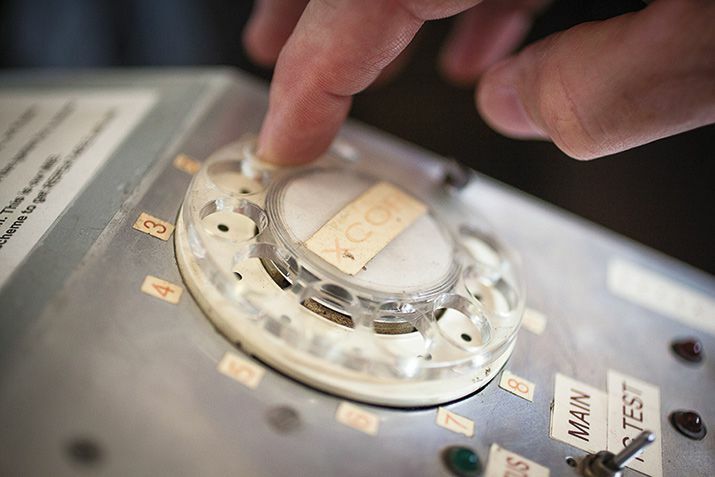 He dialed in the duration of the test on an old-fashioned rotary telephone dial that XCOR gadgeteers had rigged to the test stand. Twelve of these engines, designated 3N22, will go on the spaceship that’s coming together elsewhere on the shop floor. Six of them will give the pilot pitch, yaw, and roll control at the apex of the ship’s suborbital flight, outside the atmosphere, where aerodynamic flight controls have no effect. Six more are backups, there in case something goes wrong with any of the first six. XCOR’s spacecraft, the Lynx, is being built to carry a pilot and a single passenger on a trajectory similar to that of the bigger, eight-seat SpaceShipTwo, built by Scaled Composites for Virgin Galactic, just down the flightline from XCOR’s hangar at the Mojave Air & Space Port in California. Both companies aim to give space adventurers and researchers the experience of weightlessness in a black daytime sky with a view of the curving Earth below. But unlike SpaceShipTwo and its historic predecessor, SpaceShipOne—the first private manned vehicle to reach space—the Lynx will take off directly from a runway under its own rocket power, without the benefit of a carrier aircraft to take it to high altitude before launch. The Lynx flight profile has never been done—not by others hoping to break into the space tourism business and not by the X-15, a rocketplane developed by the Air Force and NASA that flew to suborbital space in the 1950s and 1960s. The Lynx will follow a different path to space not because the XCOR engineers want to do something no one has done before but because they have a different goal from those of the makers of SpaceShipTwo and the X-15. XCOR’s goal is orbit, and the Lynx is just one step along the way. “Part of our business strategy was to start with what we thought an orbital vehicle would look like, and we wanted the suborbital vehicle to path-find the suite of technologies that we knew we’d need for an orbital system,” says XCOR CEO Jeff Greason [pronounced GRAY-son]. The company’s founders studied the rocket performance that would be necessary to create a two-stage, orbital launch system. “That same level of performance gives you a suborbital-class vehicle that needs only one stage,” Greason says. XCOR’s business goal is to reduce launch costs enough to win customers who want to put payloads into orbit. In this, the company is like the now-celebrated SpaceX, started by millionaire Elon Musk when his dreams of traveling to Mars were dashed by the high cost of getting to Earth orbit. XCOR is what a rocket company looks like when the founders don’t start out with $100 million from the sale of an Internet service. Doug Jones, one of XCOR’s founders and the engineer in charge of the test, stands at a taller cart on the other side of the rocket. He takes off his earphones and scans the data that has appeared on the LCD before him. The engineers are trying to determine the minimum amount of helium needed to completely purge the nozzle of residual propellant between firings. They set up for another test. Jones is one of four engineers who founded the company in 1999, veterans of a Mojave rocket startup, Rotary Rocket, that went bust. They had all worked in Rotary’s propulsion division. Since starting XCOR, they have fired 12 rocket engine designs a total of more than 4,000 times without a single, in the euphemism of the trade, hard start. In other words, they’ve never had an engine blow up. 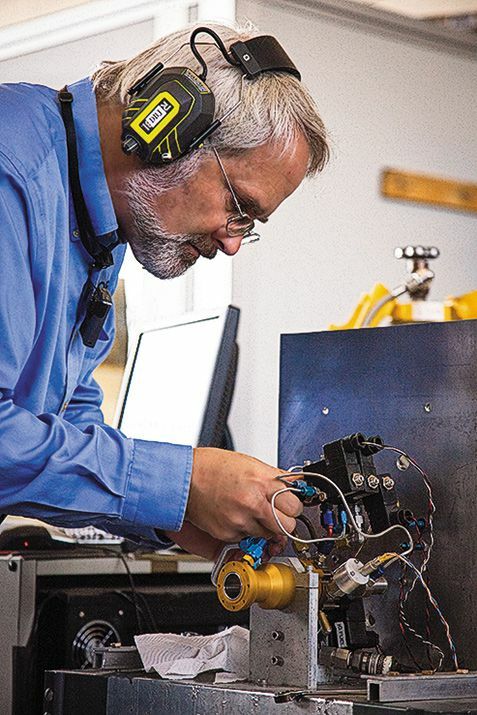 After showing they could make engines, the XCOR team turned to fuel pumps. They were interested in piston pumps because, compared with the turbopumps that traditionally pressurize fuel and oxidizer for rocket engines, piston pumps are cheaper to design and build, and they last longer. The life of a turbopump is measured in minutes; a piston pump will work for hundreds of hours. The Defense Advanced Research Projects Agency was interested too, and funded some of XCOR’s piston pump research. “Larger rocket engines are really only needed and used for high-thrust and long-duration maneuvers like launch,” says Preston Carter, the former DARPA program manager who funded XCOR’s piston pump development. For commercial suborbital tourism and eventually commercial launch systems, he says, XCOR’s small, higher-performance rocket engines and piston pumps will be in demand. 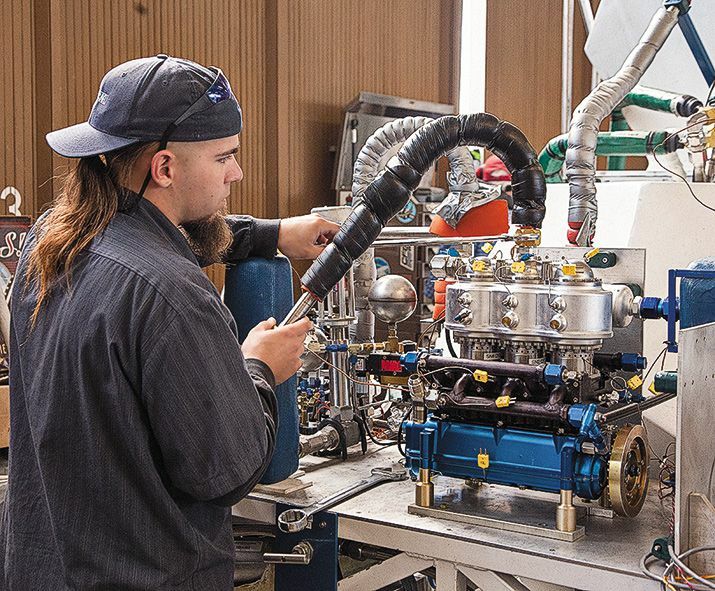 XCOR is the first to use piston pumps for space applications. For a small company trying to foster routine, airline-style operations for spaceships, they offer the key advantage of affordability, and because of how XCOR began, affordability is a major part of its business plan. In 1997, Jeff Greason was an electrical engineer at microprocessor giant Intel in Oregon. A space enthusiast, he gave up his lucrative career for a startup with an uncertain future when he joined Rotary Rocket in Mojave as head of propulsion. Greason says that when Rotary shut down just two years later, a small group of engineers in the propulsion division came to their boss—him—and, in essence, asked him to keep the team together in a new venture. Aleta Jackson, Dan DeLong, Jones, and Greason (all still working together, 14 years later) decided that XCOR was a great name for a new rocket company; the “X” was inspired by the U.S. X-1 and X-15 programs. The four started by working on small government contracts in propulsion. “Most of us didn’t get paid for a long time,” Greason says. 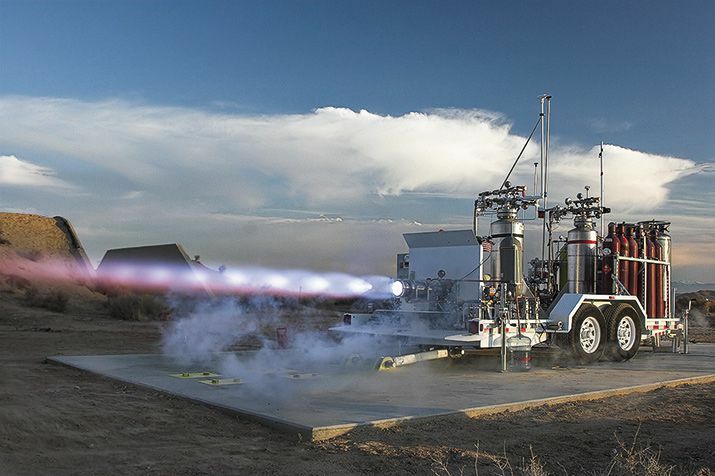 In 2005, a NASA project for a methane-powered rocket engine gave XCOR a $3 million infusion. At about the same time, the Rocket Racing League hired the company to build a rocket-powered airplane called the X-Racer. United Launch Alliance tapped XCOR in 2009 to build and test a liquid hydrogen rocket that could serve as the upper stage of a satellite launcher. That work is ongoing. In 2008, the company began taking deposits on $95,000 Lynx flights to space. By 2012 a round of financing brought the company more than $5 million. There’s a good reason that the Lynx flight profile has never been tried. Using an aircraft to get as high as possible before lighting its engines saves a rocketplane precious fuel and therefore weight. For SpaceShipTwo, the fuel savings translates into more payload—six paying participants plus two pilots, versus only one each for Lynx. For the X-15, the fuel savings translated into greater performance, allowing the craft to go hypersonic—past six times the speed of sound. “The X-­15 was designed for a different mission—speed—so it was optimized for that environment,” says Dennis R. Jenkins, coauthor of Hypersonic: The Story of the North American X-15. “Lynx is undoubtedly optimized for altitude.” Jenkins figures weight saved using modern materials and equipment—carbon fiber composites versus the X-15’s heavier nickel alloy, a several-ounce GPS receiver in place of a several-hundred-pound inertial guidance system, and so on—could help Lynx reach its target altitude without an air launch. The method of launch is not the only significant difference between the two craft. SpaceShipTwo has a hybrid propulsion system, with a solid fuel core and rocket nozzle integrated into one single-use piece. Liquid nitrous oxide serves as the oxidizer, which the fuel needs to burn. Virgin and Scaled have said that the hybrid fuel system makes their vehicles safer, since the solid fuel can’t light without the oxidizer. But it provides less thrust for its weight, contributing to the need for air launch. Between flights, the entire engine and solid fuel assembly have to be exchanged for another; by contrast, all the Lynx requires between flights is more fuel. Jeff Foust is an analyst with aerospace consultancy Futron and a longtime observer of the suborbital spaceflight industry. “With SpaceShipTwo,” he says, “there’s probably enough touch labor involved with replacing that rocket motor core, putting a new solid fuel core in, and then of course refueling the liquid oxidizer tank that will not allow them to fly as rapidly as or as frequently [as] XCOR is able to do.” But he cautions that it is too early to predict which approach to suborbital flight will win. “Until they demonstrate their capabilities and the market reacts, we don’t really know which one is the right bet,” he says. SpaceShipTwo achieved its first powered flight just a week after my visit to XCOR last April; the Lynx is months away from completion. For SpaceShipTwo, as in most spacecraft development programs, the pacing technology has been its propulsion system. 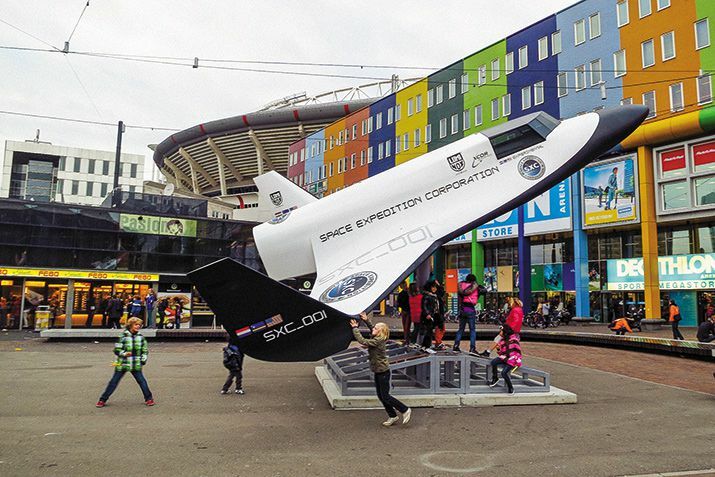 But for the propulsion experts at XCOR, the engines aren’t a problem. One of the things holding up the Lynx is its cockpit. Although the cockpit is still being fabricated, the Lynx’s 3,000-pound-thrust main engine, designated the 5K18, is complete. Four of them will rocket the Lynx into space. The 5K18 test stand has two of the company’s signature piston pumps installed. The fuel pump built for the X-Racer has operated at twice its design pressure just to feed one 5K18 engine at a time. A more recent pump design is a bigger blue and silver pump for the cryogenic liquid oxygen oxidizer, fed by insulation-wrapped pipes. 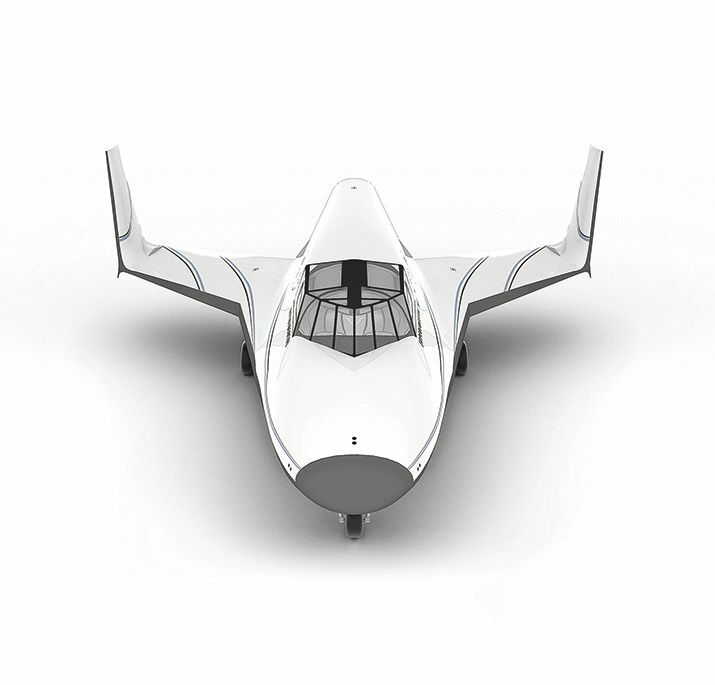 Designed for the 5K18, it can run at reduced speed to feed a single engine or faster for two. Recently the team has run both fuel and oxidizer pumps for the first time in single-engine runs, satisfying the self-imposed requirement for all-piston-pump propulsion. Three-time space shuttle astronaut Rick Searfoss is XCOR’s test pilot. 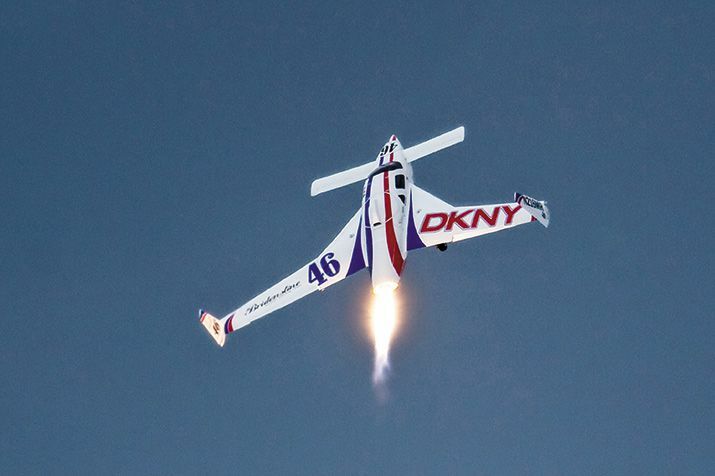 He flew both of the company’s previous rocket-powered airplanes, and he’ll shake down the Lynx as well, starting with taxi tests and proceeding to progressively higher flights. The first Lynx out of the hangar doors, a prototype dubbed the Mark I, has a planned ceiling of 200,000 feet—128,000 feet shy of the 100-kilometer (62-mile) Kármán line, which is the accepted boundary of space. A lightweight carbon fiber oxidizer tank in place of the Mark I aluminum tank should make it possible for the first production vehicle, the Mark II, to reach 328,000 feet. On each vehicle, the flight experience for a paying participant will be nearly the same. Searfoss and the customer, who will sit in the right seat, will wear pressure suits for protection in case the cockpit is compromised in flight. After getting clearance from the tower at Mojave, the spaceplane—30 feet from nose to tail and 24 feet from wingtip to wingtip, about the size of the Bell X-1 rocketplane that carried Chuck Yeager past the sound barrier—will rocket down the runway, blasting out four jets of flame. 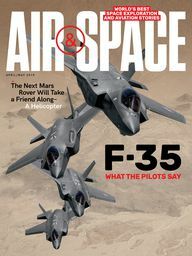 “For the pilot, it’s going to be a high-workload activity,” says Searfoss, but not, he adds, much different from that required of fighter pilots. He says the acceleration will be comparable to that of a F/A‑18 or an F-16 in full afterburner. While those jets take a few seconds to run up to full thrust, with the spaceplane, “the full performance is there…within a fraction of a second,” says Searfoss. The Lynx will go supersonic within a minute of takeoff, pointing nearly straight up and accelerating through 2.5 Gs. Through the wrap-around cockpit windows, the pilot and customer will see the blue sky fade to black. After Searfoss flips the switches to shut off the engines, the ship will coast to the apex of the flight in silence. For three or four minutes, he and the customer will feel weightless. With nudges of the control stick triggering split-second kicks from the 3N22 engines, Searfoss will nose the vehicle over to get the best possible views of Earth: blue ocean, open desert, mountains and clouds, the thin blue line of the atmosphere against the starless black daytime sky. The Lynx will return to its home airport as a glider. Like Virgin before it, XCOR is taking its time getting to that first powered flight. The hope is to get the Mark I off the ground by the end of this year. At the end of a workday, Greason usually takes a walk, 35 minutes straight out from the flightline to one end of the Mojave Air & Space Port and back. By now, late on an April afternoon, the wind has kicked up to what he estimates to be 30 knots. Leaning into the wind with Greason as we head up the long, deserted street, I feel as if we could stretch out our arms and lift off, rockets or no. In the distance ahead of us looms the new hangar for Stratolaunch, another Paul Allen–Burt Rutan collaboration. (Allen foot the bill for the Rutan-designed SpaceShipOne.) When the Stratolaunch system is ready to roll out of that hangar, XCOR will likely have moved on from Mojave. The Mark I Lynx will be built here at the spaceport, and, if all goes well, its first test flights flown here. It will even operate revenue flights from here. But sometime in the next year, XCOR will move to the Midland International Airport in western Texas. XCOR’s orbital ship—the reason the company came to be—will be built there. Greason won’t say much about more about the orbital vehicle than that it is planned as two rocket-powered stages launched from a carrier aircraft. The company has already begun work on its hydrogen fuel rocket engine under contract with United Launch Alliance. 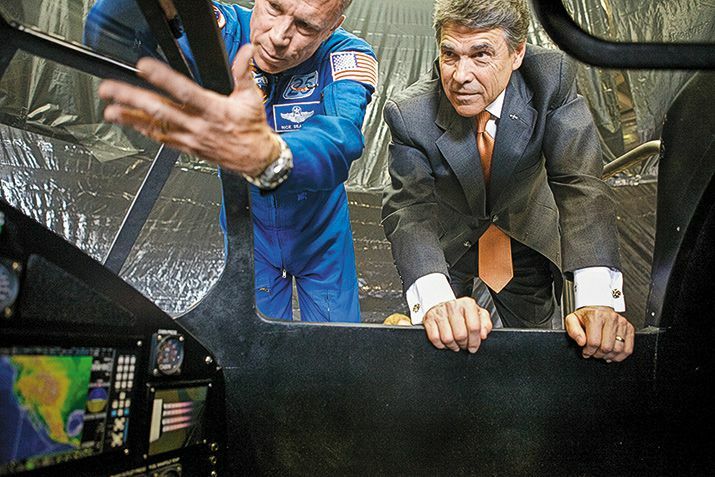 At Midland, XCOR will get more hangar space and a friendlier business and regulatory climate. Greason tells me he’s going to miss the place where the company started 14 years ago. We reach the airport boundary, where the turbines of an old airliner shiver and clank. We turn to head back with the wind to the rocket shop. Michael Belfiore is the author of several books, including Rocketeers: How a Visionary Band of Business Leaders, Engineers, and Pilots Is Boldly Privatizing Space (Harper Perennial, 2008) and The Department of Mad Scientists: How DARPA Is Remaking Our World (Smithsonian Books, 2010). Engineers get creative when the error message comes from 50 million miles away.